We believe time spent sleeping is time spent well! What can I not access because it is locked away from me? What am I locking up inside myself? These questions are a good start to explore a dream that involves locks, as locks can be symbols of restriction and limitation. Locks are used to imprison, to chain up, to control and limit movement. Where in your life do you feel restricted, or what do you feel must be limited from the view of others? To really dig into the symbolism of the lock we need to understand why locks are used in the first place. Why do we place locks on things? One reason is because we want to protect what is inside. 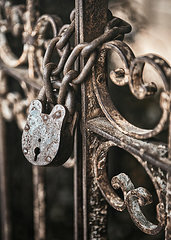 The essence of a lock dream may not about barriers or restrictions (though some of these elements may indeed have some relevance), but about preciousness and vulnerability. We place locks on things we value, that we wish to ensure stays safe, or of things we are afraid of losing. To dream of a lock may indicate that in some area of your life you feel exposed or sensitive, and that you feel the need to take steps to ensure you are not taken advantage of or exploited. Dreaming of a lock may be about being guarded, about feeling that you have something precious that should only be revealed in the right circumstances, with trusted people. Such a dream may also reveal who these right trusted people are, and when the right safe time may be. Locks can be associated with chains and cages. We can be locked out, but we can also be locked in. We may dream of locks when we are trying to contain something that should be free. This may be an aspect of our selves, another person, or even an idea. 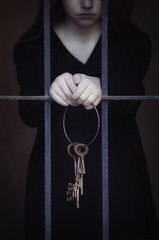 A lock dream may be suggesting it is time to release some feelings or opinions that no longer serve us, or that it is time to allow a side to your true self to be set free. If you also dream of wild animals, this may indicate an emerging of your deeper, wilder real Soul. If the lock is on a bicycle or some other mode transport, this may be signalling that your means of moving on are in some way limited. Dreams of locks infer by their nature the notion of unlocking – of keys and secret combinations or codes. A dream of a lock asks you to consider what is the key to situation? What is needed to unlock vital information, energy, or insight? What can you do to free yourself? In most cases a dream will not show a lock that you yourself do not have the key to. Unlocking something is often about a change in your own perceptions, beliefs and behaviours. To learn more about this issue, consider who in your dream is locked out – is it you? Another person? If so, what might they symbolise to you? What does it mean to be “locked out”? Do you feel excluded socially? Do you feel shut out from an intimate situation? Do you feel there is some information you need to understand what is going on? Do you feel a close person, a friend or lover, is not sharing their true emotions with you? Dreams of locks ask us to explore what we feel sure about, and what our insecurities are. They encourage us to understand that we hold the keys to our own freedom, and that most barriers are ones of our own perceptions. To dream of a lock also encourages us to understand the idea of release and letting go. What do you need to let go of in order to be free? This is so helpful, Amy…to many of us, I’m sure. It strikes me that locks are a potent symbol. You spur me on to write a poem about them! Thank you! Pls help me to interpret my dream. I’ve dream while riding on a bus worth some of my. Classmate then while on the way I saw a tree of a kind with a lot of giant locks hanging on it.. I had a dream were i was using a small key to lock my phone,then i was happy saying to myself that now no one can use my phone any longer without my permission. Please what does it mean? Ur interpretations really makes sense. This the second time am visiting ur site.am in Ghana,west africa. i am an artist. who work on lock and keys.i have taken lock and keys as my main elements.i think we are locked by society,their barrier,restriction are too much on us.i felt breathless in this society with such rules in each and every where. Sign Up Here Dive deeper into the Well! Become fluent in the language of your dreams. Be the first to learn about Dream Well news, receive special offers and gain access to exclusive insights. The Dream Well is your key to develop the mastery to truly help you dream well.